Washington, April 5: NASA has successfully tested a rocket engine needed for future Moon missions, marking a major milestone in its aim to return astronauts to the lunar surface in the next five years, the US space agency said Friday. 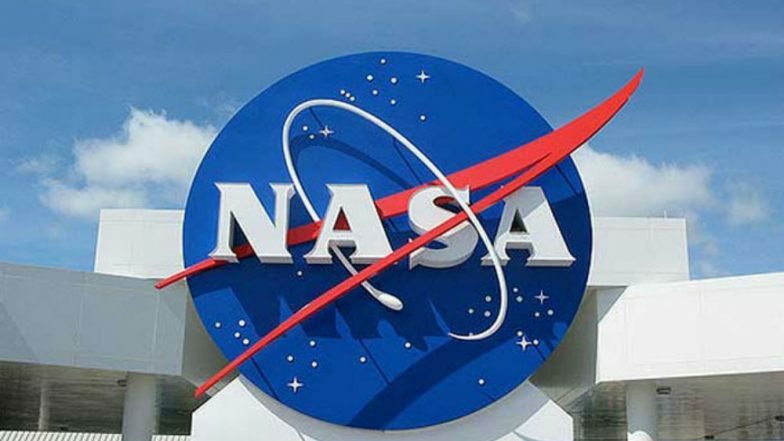 The latest test was conducted on Thursday at NASA's Stennis Space Center near Bay St Louis, Mississippi, US, NASA said in a statement. The "hot fire" test marks the culmination of over four years of testing for the RS-25 engines that will send the first four Space Launch System (SLS) rockets into space, it said. Moon Could be a Chemical Factory for Water: NASA. "Engines are now a 'go' for missions to send astronauts forward to the Moon to learn and prepare for missions to Mars," said Johnny Heflin from NASA's Marshall Space Flight Center in Alabama, US. "We are ready to provide the power to explore the Moon and beyond," Heflin said. The RS-25 rocket engine test era began January 9, 2015, with a 500-second -- more than eight minutes -- hot fire of RS-25 developmental engine No 0525 on the A-1 Test Stand at Stennis. NASA tested the first SLS flight engine on March 10, 2016. Altogether, the agency has conducted 32 developmental and flight engine tests for a total of 14,754 seconds -- more than four hours of cumulative hot fire -– all on the A-1 stand at Stennis. Having launched 135 space shuttle missions, these main engines are considered the most tested engines in the world, according to NASA. When the Space Shuttle Program ended in 2011, NASA still had 16 engines that ultimately were modified for SLS. These engines were originally designed to perform at a certain power level, known as 100 per cent, the US space agency said. Over time, the engines were upgraded to operate at higher and higher power levels, up to 104.5 per cent operating power level by the end of the shuttle programme. For SLS, that operating level has to be pushed even higher. To help accomplish that, and to interface with new rocket avionics systems, NASA designed and tested a new engine controller, which serves as the "brain" of the engine to help monitor engine operation and facilitate communication between the engine and rocket. NASA's First Deep Space Mini Spacecraft Go Silent. Early developmental testing at Stennis provided critical information for designing the new controller. The first new flight engine controller was tested at Stennis in March 2017, with a string of controller hot fires to follow. The April 4 test marked the testing of the 17th engine controller for use on SLS flights, providing enough for all 16 heritage RS-25 engines.